Burmese Ruby - What Makes these Myanmar Gems so Unique? The rubies found in Mogok have been mined for hundreds of years. They’re found in river gravel or in marble created over millions of years from limestone in the belt of metamorphic rock in the area. The rubies are still mined by hand and are sold in the marketplace. 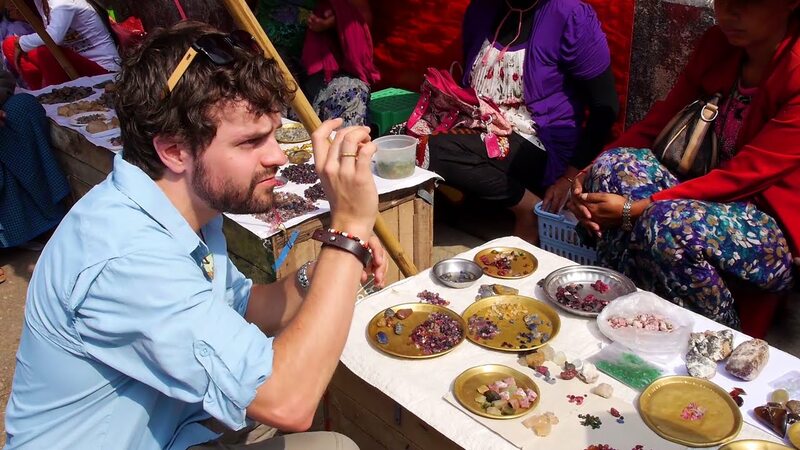 However, they are hard for foreigners to obtain, for they need a special permit to even visit the town, and the rubies can’t be bought from dealers who are not licensed by the government. A ruby is made of corundum, as is a sapphire. The difference is that the addition of chrome in the ruby turns it red, as pure corundum is colorless. Red corundum is always a ruby, though a sapphire can be any color but red. The formula of a ruby is Al2O3:Cr which can be read as aluminum oxide plus chromium. It has a trigonal crystal structure, which means it has three-fold symmetry and four axes. Three axes are the same length and lie at 120 degrees from each other, while the fourth axis can be longer or shorter than the others but must lie at 90 degrees from the other corners. Ruby is often found in flat crystals and is translucent or transparent. It is also pleochroic, which means that a gem can display different tones and hues depending on how the light falls on it. Because of this, a ruby needs to be mounted in just the right way to bring out its best color. Natural rubies often have inclusions or flaws that tell them apart from synthetic rubies. Needles of a mineral called rutile cause a shimmering effect called silk in the stone. When the needles are parallel to the gem’s three horizontal crystal directions, it creates a much sought-after star effect or asterism. When it comes to hardness, corundum is rated a 9 on the Mohs hardness scale. It is the second or third hardest substance known. It is right behind diamond, which is rated a 10 on the Mohs hardness scale and is only a bit softer than moissanite, which is sometimes rated a 9.5. Ruby has a bright, vitreous luster and a refractive index of between 1.76 and 1.78. The refractive index measures how well a jewel refracts light or causes it to change direction when it enters the jewel at an angle. The specific gravity of a ruby is 3.97 to 4.05, which means it will sink if put in water, and when it’s scraped over a streak plate it leaves a white powder. Rubies can be cut in the same ways as diamond, including oval, brilliant, pear and cushion cut. Square and emerald cut rubies are more expensive than oval or round cut gems because those cuts require larger crystals. Rubies can also be made into beads or cabochons, which are domed, polished and unfaceted. A rare star ruby must be cut as a cabochon to bring out the sharpness of the asterism. A good ruby has a strong, red color with no hints of brown, orange or purple. 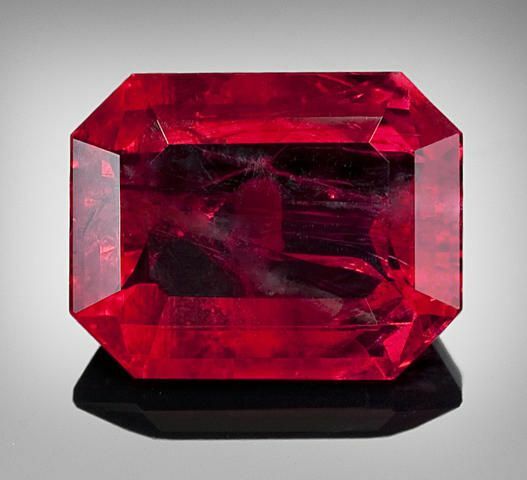 Many rubies are heated or adulterated with glass, beryllium or resin to improve their color, but an untreated ruby with a gorgeous color is at a premium. Crystal healers use ruby for imparting energy. It stimulates a passion for life and helps a person focus, get motivated and set realistic goals. It stimulates the heart chakra and is a shield against psychic vampirism. Rubies bring positive dreams ad stimulates the pineal gland. It is a gem of abundance and helps people retain wealth. Ruby transforms negative energy and removes negativity from a person’s life path. It makes the wearer courageous ad sharpens the mind. Ruby overcomes exhaustion and imparts vigor even as it calms down hyperactivity. When it comes to healing the body, ruby detoxifies the blood and lymph and treats fevers and infections. It supports the good functioning of the circulatory system as well as the kidneys, adrenal glands, spleen and reproductive organs. It is the birthstone of July. The Sunrise Ruby is a cushion-cut Burmese ruby set on a ring between two diamonds. It is the most expensive ruby in the world and weighs 25.59 carats, or 5.1 grams. Another platinum ring set with diamonds and a classic Burmese ruby was given to the National Museum of Natural History in Washington D.C. by Subway restaurant co-founder Peter Buck. Where Are the Burmese Rubies Found Today? Besides Myanmar, Burmese rubies are found in Afghanistan, India, Brazil, Scotland, Kenya, Madagascar, Russia, Thailand, Sri Lanka, Pakistan, the United States and Vietnam. There are places where ordinary people can mine for rubies and sapphires. You can find it at the Cherokee Ruby and Sapphire Mine in Franklin, North Carolina. In these cases, hunting for rubies is a fun past time and harmless to the environment. However, the Tom Lantos Block Burmese JADE (Junta’s Anti-Democratic Efforts) Act of 2008 blocks rubies from Myanmar from coming into the United States through third party countries. It doesn’t prevent the sale of Burmese rubies that are already in the United States. Named for the rubies found in the Mogok region of Burma, the Burmese ruby is prized for its natural, passionate red color. There are places where a layperson can mine for rubies, or they can just go to a jeweler. 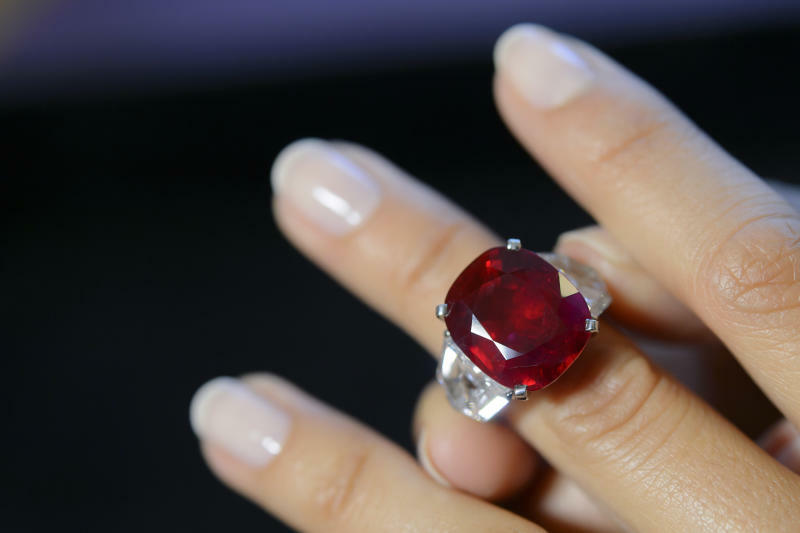 But if they want a Burmese ruby, they should be prepared to part with some cash! Hey Buddy!, I found this information for you: "Burmese Ruby – What Makes These Myanmar Gems so Unique?". Here is the website link: https://accessgems.com/burmese-ruby/. Thank you.